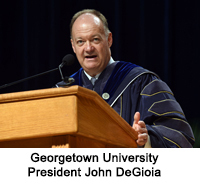 The 181 members of the Georgetown University School of Medicine Class of 2018 graduated May 20 at DAR Constitution Hall in Washington, DC. 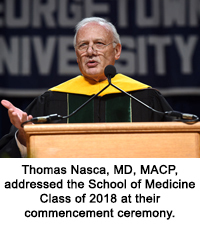 (May 21, 2018) — Out of the 13,000 aspiring doctors who applied to be part of the Georgetown University School of Medicine Class of 2018, few were accepted. 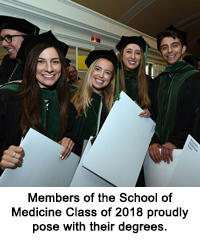 On Sunday, 181 of these students received their medical degrees as members of the School of Medicine’s 166th graduating class at DAR Constitution Hall in Washington, D.C. 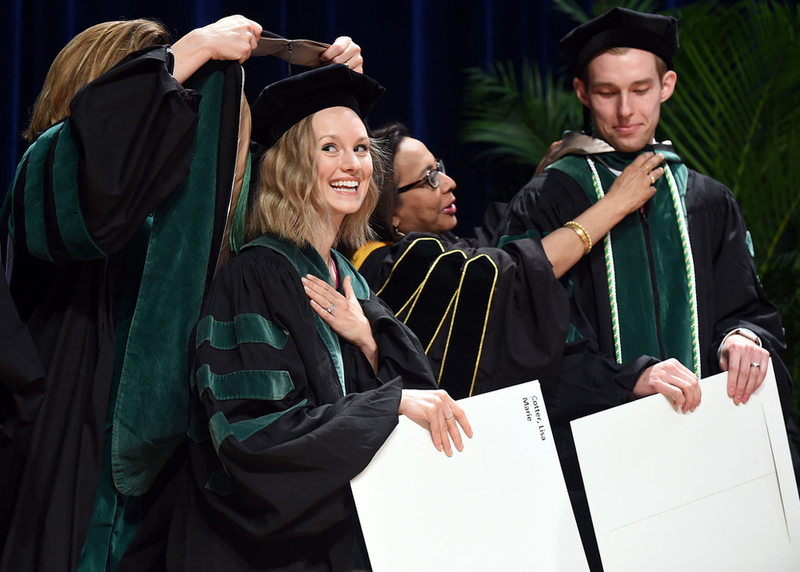 The graduating medical students represent a cross-section of the nation as a whole, Mitchell said, with 31 states represented, led by California, New York, Pennsylvania, New Jersey and Virginia. Ranging in age from 25 to 40 years of age, the Class of 2018 is composed of 95 men and 81 women. Twelve students are members of the armed services and 30 students have other graduate degrees. 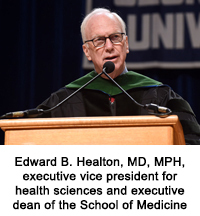 “Under his leadership, ACGME now requires the training of young physicians in self-care so that they can not only serve the sick, but themselves survive the often debilitating challenges of their profession,” Healton said. Thirty-nine years ago, Nasca learned the importance of understanding a patient’s “why” while treating Elaine, a 30-year-old woman who had been battling Type 1 diabetes for nearly her whole life. Elaine had experienced nearly every complication from the illness, including heart attack and congestive heart failure, severe peripheral vascular disease, resulting in the amputation of fingers and toes and end-stage renal disease. Elaine lived for years after Nasca finished his fellowship training. “She did indeed give her niece and nephew a chance at a bright future,” he said. At one point, Elaine asked Nasca about his goals.